Adjustable collars focused on durability and style, featuring woven ribbon sewn onto comfortable and..
Our Kashmir Collection is inspired by the intricate and ornate patterns found in the tapestries and .. The Katrina dog collar collection features deep black fleur de lis contrast against shades of soft p..
Our Mandala Star Collection is inspired by our favorite things: Italy in the summer, vibrant gem sto.. It doesn't get any more holly jolly than this! 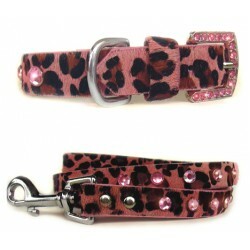 The Mistletoe dog collar is made from plush red velve..